. :Official Internet Home of Matt Glbertson:. 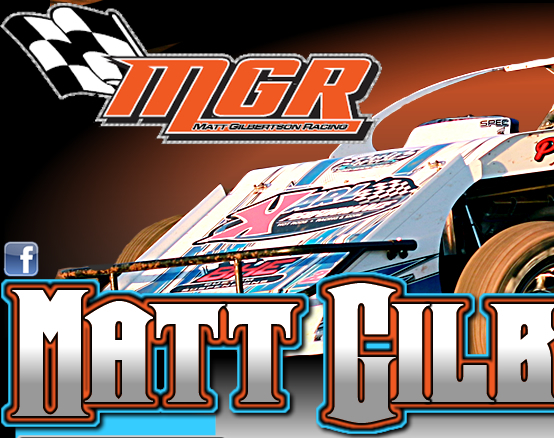 Matt kicked off his 2019 season at the Wild West Shootout at the Arizona Speedway in Queen Creek, AZ. He piloted a Lance Schill X-Mod on the opening night and after running second in his heat race, he battled with Schill and Cole Searing for the lead in the feature, eventually coming home a solid second. Sunday's show rained out, and Wednesday night, Matt jumped behind the wheel of a Schill Construction Motorsports Modified for the event. Matt ran third in his heat and then raced to a very solid third place in the night's main event as well. 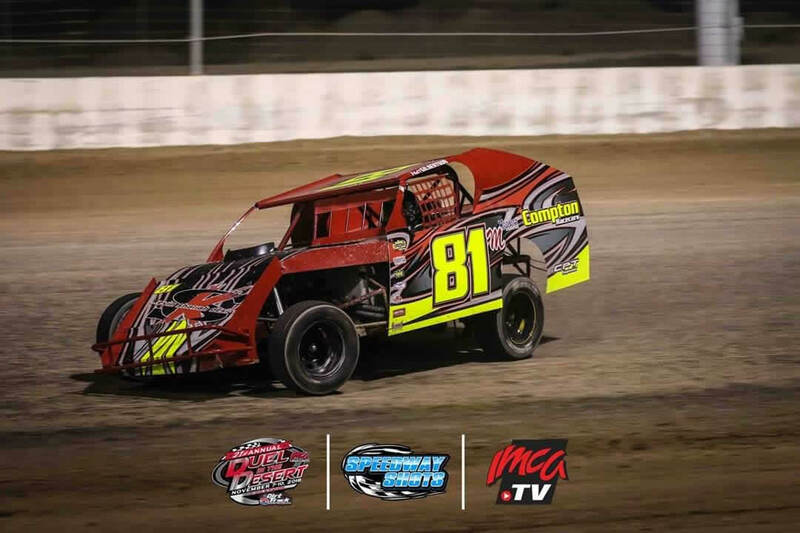 Then, on Saturday night, Matt climbed behind the wheel of a Brandon George owned X-Mod and ran third in his heat, fourth in the b-main and came home 20th in the main event to wrap up his week in the desert. Results can be found at www.WildWestShootout.net. 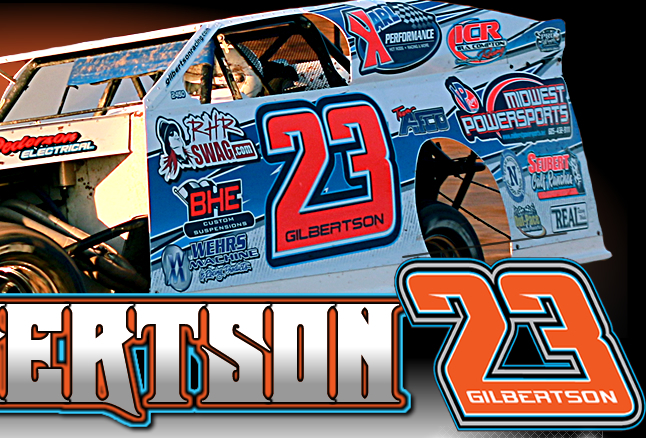 Competing in a total of 48 events during the 2018 season, Matt Gilbertson bagged seven wins aboard his RHRSwag.com/ Row Applicators #23 MB Customs Open Wheel Modified. He grabbed 29 Top-10 outings and 24 Top-5 finishes. Thursday night, Matt started and ended 5th in his heat and had some mechanical troubles in the night's b-main. Friday night, he raced from 7th to 4th in his heat and then finished 7th in the b-main. Saturday night, he had more troubles in his last chance race, ending his weekend early. Overall it was a good time in Vegas. Thanks to the Compton Motorsports crew for the ride and for the fun weekend. Matt made the trip over to the Spring Lake Speedway in Unity, Wi for the annual Autumn Clash on Saturday night. He raced his way from 6th to 4th in his heat race, putting him 10th in the feature lineup. In the feature, he moved his way forward up to the third place by the midpoint of the race before a steering issue caused him to retire from the event early. Results can be found at www.SpringLakeSpeedway.com. Matt made the trip to the Ogilvie Raceway in Ogilvie, MN for the MTH Fall Classic this past Saturday and after winning his heat from the pole, he lined up 10th in the feature. During the 30-lapper he ran inside the top ten early but fell out of competition, ending his night early. Results can be found at www.FYEMotorsports.com. 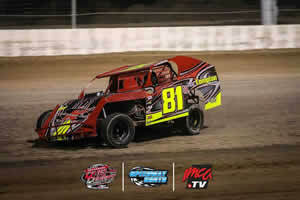 Matt made the trip to the Madison Speedway in Madison, MN this past weekend for the annual Madtown Showdown. Friday night he ran fifth in his heat race before racing forward from 14th to 5th in the main and Saturday night, he won his heat from the outside of the front row and then started third and came home with a second place finish in the feature to cap off the weekend.